The ‘Super Blood Wolf Moon’ transformed the night-sky into a picturesque scene with a fiery red ball piercing the night sky. This rare astronomical event only occurs when a full moon is closest to Earth in its orbit, often appearing larger and brighter than usual. However in a post The Flat Earth Society’s ‘Flat Earth Wiki’ claim the lunar eclipse was not caused by the shadow of Earth but by a ‘Shadow Object’ that orbits too closely. The unidentified object orbits close to our star but has never been seen by scientists, according to the theory. Despite their ambitious claims the mystery hunters acknowledge the moon and sun as a sphere and but insist they orbit the flat-earth over the north poll. It added: “As the sun’s powerful vertical rays hit the atmosphere during the day they will scatter and blot out nearly every single star and celestial body in the sky. They also claim a mysterious object is involved and not the earth. In another post they say: “As far as the Lunar Eclipse goes, there is no evidence that the shadow which manifests on the moon during a Lunar Eclipse originates from the earth at all. 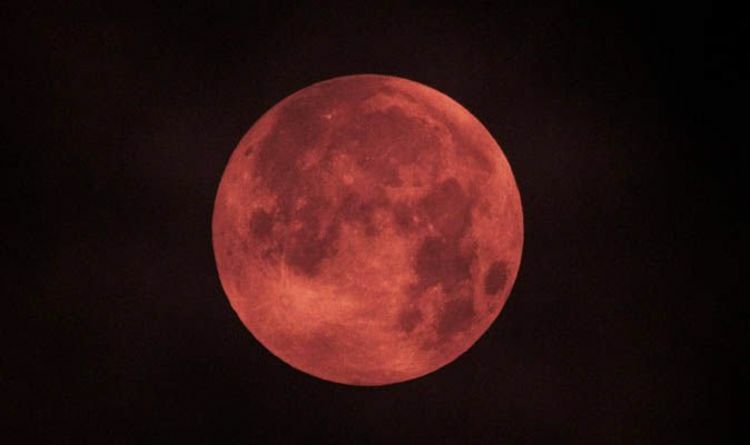 The last blood moon to grace UK skies occurred on 27 July 2018. The next total lunar eclipse will not occur until May 26, 2021.